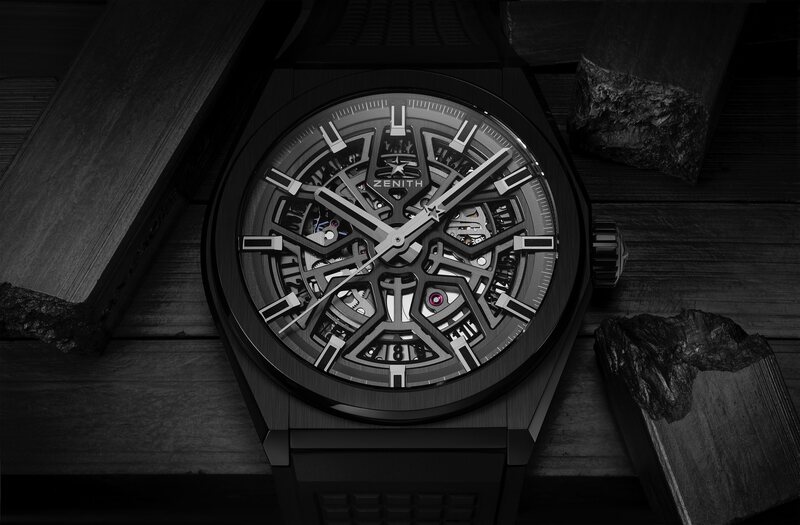 The angular case of the Defy collection now comes in black zirconium oxide, otherwise known as ceramic. This material is new to the line and provides a highly scratch resistant surface. 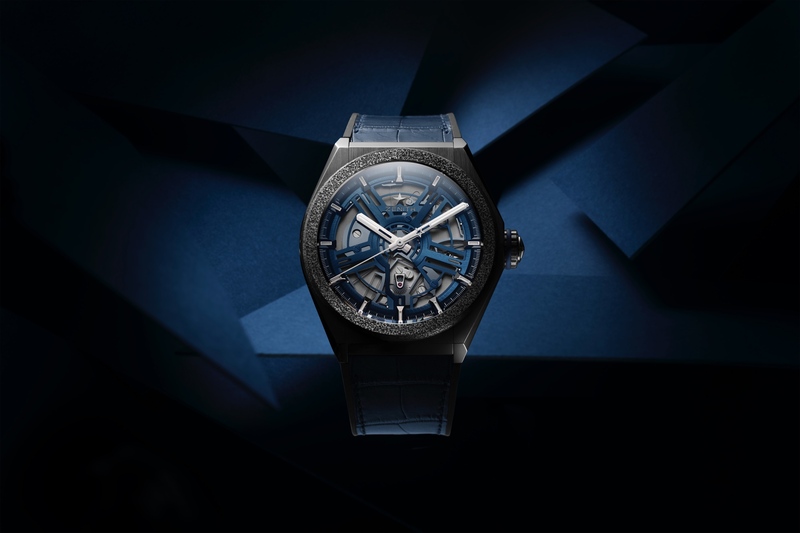 Highlighted by an openworked dial, and similar to the recent Defy Classic Range Rover, the Defy Classic Black Ceramic case measures 41 mm x 10.75 mm, and is finished with a satin-brushed surface on the top of the case and bezel and accentuated with fully polished sides. 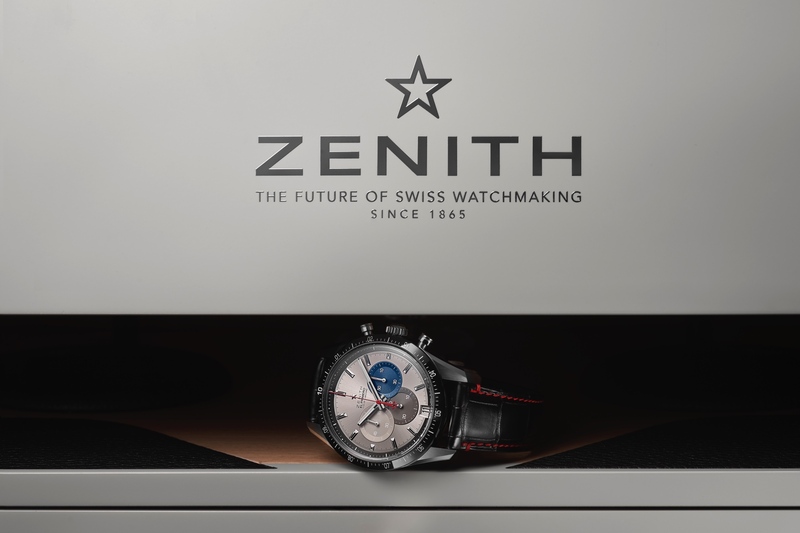 The hands and hour indices are ruthenium-plated and faceted, and the luminous material in black. Even though the contrast between the hands and dial may be low, the relatively clean layout (for a skeleton dial), and the prominent size of the hands and hour markers should offset any readability issues that the mostly dark dial might pose. A 4Hz automatic caliber Elite 670 SK movement with 187 components (27 jewels) and a silicon escape wheel and lever drive the hours, minutes, central seconds, and date for up to 50-hours. 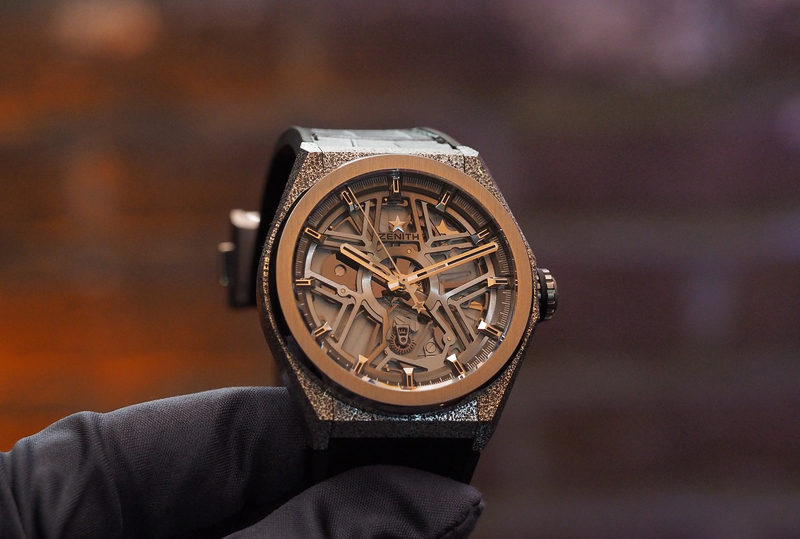 The caseback has a sapphire crystal. Water-resistance is 100 meters. Comes on a black rubber strap with DLC folding buckle. Available April 2019. Retail is $7,500.